Versatile and variable, the bill was a common pole weapon to use in the Middle Ages, and as such, they came in a wide variety of shapes and sizes. Some had long, needle points for thrusting, while others, like this Broad Bill, were more for cleaving. The best part about a military bill is that it combines some of the best features of several different weapons. 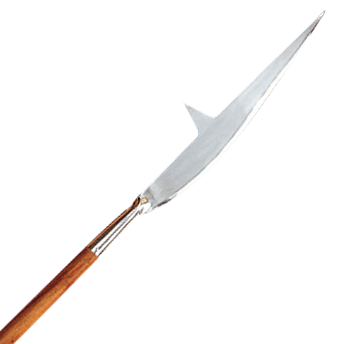 The wicked point on the bill ensures that it has the thrusting power and the versatility of a spear, while the broad cutting edge gives a military bill the cutting power of an axe. And the addition of a pointed spike on the back of the blade gives it even more utility, ranging from hooking cavalry, riders, and horsemen and pulling them off their mounts to penetrating armor with a single, decisive and powerful back-swing. This bill features a carbon steel head that measures approximately 24.25 inches long, while the included hardwood haft measures approximately 72 inches long. 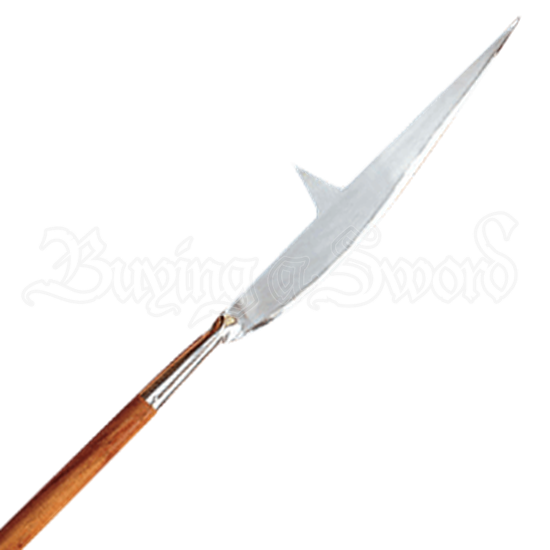 If you are looking for a good and versatile weapon to use whenever you practice your own European martial arts, then look no further than this Broad Bill, which gives you all the function of a spear, an axe, and a guisarme, in one convenient package!